According to the Bible, “the men of Sodom were wicked” (Genesis 13, verse 13). For its many sins, God destroyed Sodom and all the inhabitants of the “cities of the plain” in an intense conflagration, but not before allowing Abraham’s nephew Lot and his family to flee to safety. The stories of Sodom and its destruction, whether historical or not, were clearly understood to have occurred near the Dead Sea, among the so-called “cities of the plain” mentioned in Genesis 13, verse 12. But where exactly was this plain, and was a particular site associated with Sodom? 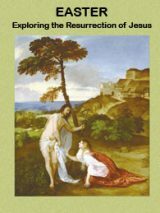 In the article “Where Is Sodom?” in the March/April 2013 issue of BAR, archaeologist Steven Collins combines clues from Biblical geography with archaeological evidence from the site of Tall el-Hammam in Jordan to suggest that the author of Genesis 13 located Sodom in a fertile area northeast of the Dead Sea. In the article “Where Is Sodom?” archaeologist Steven Collins, using clues from the Biblical geography of Genesis 13 together with archaeological evidence from the site of Tall el-Hammam (pictured), argues that Biblical tradition located Sodom in a fertile area northeast of the Dead Sea. Photo: Michael C. Luddeni. So where is Sodom, according to the Biblical geography of Genesis 13? Sodom and its sister cities are located in the large oval-shaped, fertile plain just north of the Dead Sea called simply ha-kikkar, or “the Disk” (Genesis 13, verse 13). In Biblical geography, this well-watered disk-shaped plain, said to have been located east of the highland towns of Bethel and Ai, was an area “like the garden of the Lord, like the land of Egypt” where Lot moved his family after his quarrel with Abraham (Genesis 13, verse 10). It is also the place where the Biblical writers set their dramatic tale of Sodom’s wickedness and destruction (Genesis 19). Other than Israel, no country has as many Biblical sites and associations as Jordan: Mount Nebo, from where Moses gazed at the Promised Land; Bethany beyond the Jordan, where John baptized Jesus; Lot’s Cave, where Lot and his daughters sought refuge after the destruction of Sodom and Gomorrah; and many more. Travel with us on our journey into the past in our free eBook Exploring Jordan. Seeking to answer the question “Where is Sodom?” and using the Biblical geography of Genesis 13 as a guide, Collins decided to excavate Tall el-Hammam, an extensive and heavily fortified site located in modern Jordan at the eastern edge of the kikkar. First inhabited during the Chalcolithic period (4600–3600 B.C.E. ), the site attained its maximum size during the Middle Bronze Age (c. 2000–1600 B.C.E.) and became one of the largest cities in Canaan. But unlike other Canaanite cities that continued to flourish in the Late Bronze Age (1550-1200 B.C.E. ), Tall el-Hammam was destroyed by fire at the end of the Middle Bronze Age and remained uninhabited for centuries. Read responses by scholars Bill Schlegel and Todd Bolen regarding the location of Sodom. Across Tall el-Hammam, archaeologists found widespread evidence of an intense conflagration that left the Middle Bronze Age city in ruins. They found scorched foundations and floors buried under nearly 3 feet of dark grey ash, as well as dozens of pottery sherds covered with a frothy, “melted” surface; the glassy appearance indicates that they were briefly exposed to temperatures well in excess of 2,000 degrees Fahrenheit, the approximate heat of volcanic magma. Such evidence suggests the city and its environs were catastrophically destroyed in a sudden and extreme conflagration. Was it this event—which destroyed Hammam and the other cities of the kikkar—that was remembered by the Biblical writers in their telling of the story of Sodom? 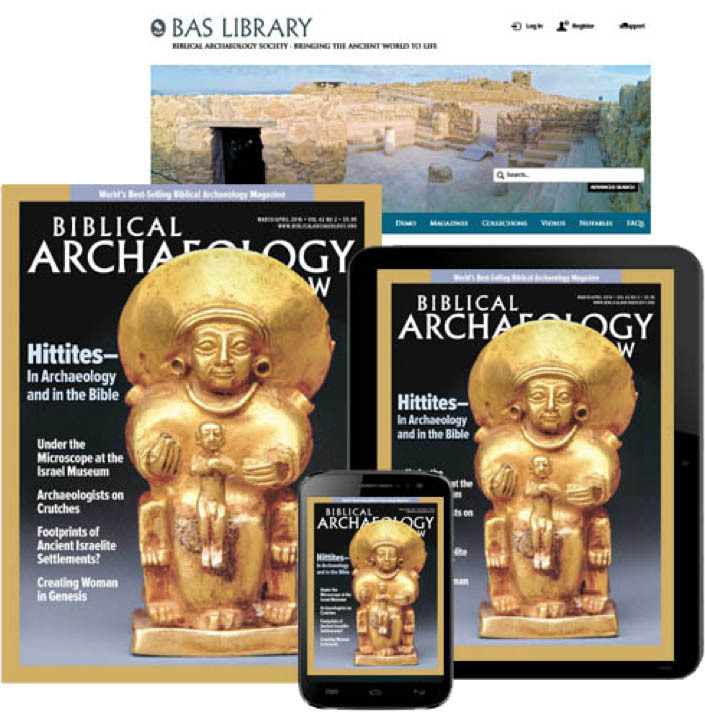 ——————BAS Library Members: Read the full article “Where Is Sodom?” by Steven Collins in Biblical Archaeology Review, March/April 2013. This Bible History Daily feature was originally published on February 20, 2013. The epicenter of the ACTUAL blast that destroyed Sodom is found at the SOUTHERN end of the Dead Sea at Gawr al-Mazraah. It fits EVERY criterion. You can ALSO see the circular blast pattern in the geology there using Google Earth or Google Maps by going to Sodom Blast Site. It is a distinct circular depression 8 miles wide. Many things here seem to fit correctly except for the date….it seems to me that this city was destroyed ( as dated by the researchers) a few centuries AFTER the time of Abraham. There surely isn’t a better alternative location for Sodom. Thank Dr. Collins for your important work on this. Do you believe the Bible is truthful…Yes or No…? The story has some cause to be in the Bible; can an archeology discover it? It would be great. That God punishes the wicked is all over the Bible; St.Paul in many letters condemns perverts. Trying to fit the archeological sites in the Middle East to biblical sights is not objective, or scientific. Instead it’s kind of presupposing something that cannot possibly be verified unless there is some kind of written script being discovered at the site that indicates the definite provenance of the dig. Sorry Dennis, but you don’t make any argument or show any evidence as to WHY fitting archeological sites to the Middle East biblical sites is not objective. 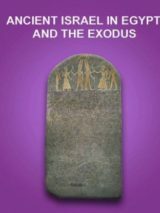 On the other hand, you may want to do some more reading on Tall El Hammam and other recent digs to see why they do compare very favorably to the biblical account we have. Besides, you could make the same argument for other ancient sites that are recorded in ancient writings. For many of these locations, you will never find a written script because they pre-date writing. It is pointless to respond to the claims of pseudo-archaeology (BAR wouldn’t give the time of day to R. Wyatt) and those holding to Bishop Ussher-style chronologies with which no meaningful Bronze Age archaeology (even ‘biblical’ archaeology) can be done (liberals have denied Torah historicity on this basis). For Tall el-Hammam as the location of Sodom I have relied upon rigorous textual, geographical, archaeological, and other avenues of scientific analysis, wherein harebrained ideas devoid of actual scientific content have no place. So I am done with this little discussion, because so many of the comments are sheer fantasy. I do appreciate those who have substantive things to say. I’m glad to give BAR readers an update on the Tall el-Hammam/Sodom excavations if they request it. I’m also glad to engage in scholarly debate in the pages of BAR on any and all topics related to the subject. It actually reaches from California to New York. The difficulty with Merrill’s chronological argument is his bias towards the old Usher and related chronologies. This bias flies in the face of the archaeological evidence indicating that no one has ever lived even close to the long lifespans referenced in the Bible. From studying external sources, such as the Sumerian King’s list, we can see clearly that long lifespans were meant as honorific terms and not actual lengths of life. 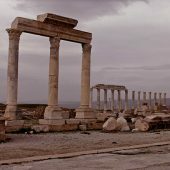 Dr. Craig Olson has written an excellent article “Which Site is Sodom” addressing the location of Sodom, the long lifespans and the sojourn, I highly recommend it. Looking strictly at the available evidence the Patriarchs were clearly MBII figures, and a destruction of Tall el-Hammam (Sodom) in the 1750-1650 BCE range fits perfectly. The biblical geography alone as described in Genesis 13 should give enough credence to believe that Sodom may very well be located on the northern end of the Dead Sea and not the southeastern end. 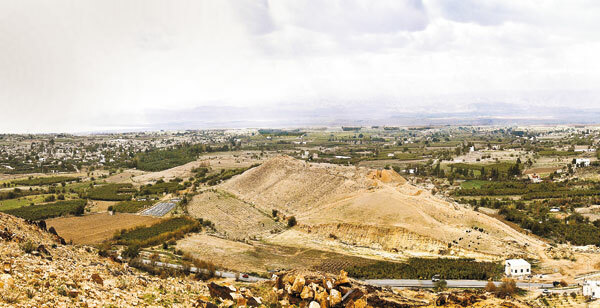 Bethel and Ai are located near Jericho which is located directly across from the northern end of the Dead Sea. Based on apparently where Abraham and Lot were located as they both viewed the “well watered” Jordan valley, they would have been viewing the north end of the Dead Sea. In fact, Genesis 13:11 reads that Lot “journeyed eastward.” There is no indication, at least in Genesis 13 that Lot traveled in a southern direction. Since I wrote this 2013 article at the request of Hershel Shanks, a wealth of additional archaeological evidence has arisen in support of the identification of Tall el-Hammam as the ‘seed-bed’ of the Sodom narratives (depending on your perspective, either historical Sodom or ‘literary’ Sodom). Since the Genesis patriarchal lifespan numbers are honorific formulas (likely base-60) and not base-10 arithmetic values, they cannot assist in constructing a proper chronology for Abraham. This must be done via historical synchronisms and elements of cultural specificity. In no way does Abraham belong in the Intermediate Bronze Age or early MB1 as the hackneyed Ussher-style biblical chronologies suggest, at a time when none of the ‘cities’ mentioned in the Abrahamic narratives existed, including Jerusalem and Dan. The narrative belongs solely during MB2 on every line of evidence available. The destruction date-range of Tall el-Hammam/Sodom confirms this as well. Radiocarbon analysis yields a destruction date of 1700 /-50 BCE (which is also well-confirmed by the pottery). The geographical argument for Tall el-Hammam being Sodom is a lock at every turn. Those who don’t recognize this simply reveal their ineptitude in dealing with textual geographical data. I’m sorry, but when you attack the content of a person’s character rather than the contact of their argument, you disqualify yourself as a critic. Attacking a person’s character only goes to prove that the content of YOUR argument is weak. You hold steadfastly to the chronology of Archbishop Usher without fully analyzing the consequences of that position. If Usher’s dates are a correct interpretation of the meaning of the numbers in the text, then you place Abraham in a period of history in which Jerusalem/Salem did not exist, and the whole Melchizedek narrative falls apart. I am the Subject Matter Expert for Archaeology and Assistant Professor at Liberty University and have been a square and field supervisor at Tall el-Hammam for over 10 years. I have researched and written extensively on the Cities of the Plain and Sodom for over 35 years. The site of Tall el-Hammam in my opinion is by far the best candidate for the site of Sodom, destroyed in the Middle Bronze Age on the Kikkar of the Jordan visible from the region of Ai. The Late Bronze Gap, observed by many archaeologists working in the Jordan Valley can be explained by the destruction event as described in the Bible. Graves, David E. The Location of Sodom: Key Facts for Navigating the Maze of Arguments for the Location of the Cities of the Plain. Toronto: Electronic Christian Media, 2016. Graves, David E. “Sodom And Salt in Their Ancient Near Eastern Cultural Context.” Near East Archaeological Society Bulletin 61 (2016): 15–32. Geisler, Norman L., and Joseph M. Holden. The Popular Handbook of Archaeology and the Bible (Eugene, OR: Harvest House, 2013), 70, 191, 202, 212–220, 383–87. Robert A. Mullins is the Professor of archaeology and Old Testament at Azusa Pacific University. James D. Tabor is the Chair of the Department of Religious Studies at the University of North Carolina at Charlotte. Anson F. Rainey was the late (2011) Professor Emeritus of Ancient Near Eastern Cultures and Semitic Linguistics at Tel Aviv University. Amahai Mazar is the Professor at the Institute of Archaeology of the Hebrew University of Jerusalem. After his visit to the site in 2014. See also Silva, Phillip J. The Destruction of Sodom: What We Have Learned from Tall El-Hammam and Its Neighbors. Albuquerque, N.M.: Trinity Southwest University Press, 2016. ———. “The Middle Bronze Age Civilization-Ending Destruction of the Middle Ghor.” Ph.D. diss., Trinity Southwest University, 2016. Silva, Phillip J., and Steven Collins. “The Civilization-Ending 3.7KYrBP Kikkar Event: Archaeological Data, Sample Analyses, and Biblical Implications.” In Annual Meeting of the Near East Archaeological Society: Atlanta, Ga., 1–6. Albuquerque, N.M.: TSU Press, 2015. BTW Bolen places the Patriarchs in the Early Bronze Age which few conservative archaeologist do. Even Bryant Wood places the Patriarchs in the Middle Bronze Age. The site is so large that is can now be called a city state (62 acres, while Jerusalem and Jericho at the time were only 10 acres). Not much wonder Sodom was mentioned in the Ebla tables in the Early Bronze age trading with Sodom. All agree that Sodom existed in the Early Bronze age (Gen 10) the Question of importance is when was it destroyed (Middle Bronze Age Gen 13). The debate and research continues but people should not be so quick to dismiss this amazing site. Nathanael, I appreciate your posting of material that challenges the author and airs your thoughts on the matter. That is helpful. Not helpful is posing a battle between BAR and historical, biblical studies. I think BAR has moderated its position over the years, becoming less biased against Scripture and opening the door to work done by those who presuppose the veracity of Scripture. Isn’t it best that BAR allows for a neutral site, allowing scholars to make their case? The truth will be apparent over time, as history shows. As it does, BAR will be there to present it. I am willing to share the word of Yahweh. Israelis didn’t keep 70 Land Sabbaths strictly from 1099 BCE to 609 BCE (5th year of the king, Solomon to the 10th year of the king, Zedekiah = 490 Luni Solar Years) according to Yahweh’s Luni Solar Calendar Formula (Lev. 25:8-9).Yahweh applied His FORMULA 10 times in 70 Weeks Prophecy. Present Jews are following inaccurate Chronology, History, and Grecian 19 – Year Cycle which is misleading all the Jews and Gentiles since CE 1948. The Word of Yahweh is now going out of spiritual Zion and Jerusalem (The Body of the Jewish Messiah) since CE 36 because of Micah 4:1-2 fulfilled already. Yahweh revealed me His Calendar Formula atlast. For details visit http://www.yahwehcalendar.com. I am willing to hear from you as we are the body of the Messiah and I need your suggestions (Jeremiah 31:31-33 cf. Romans 11:13-23; Ephesians 3:1-6, 4:11-16). Ok so if God wiped this out for a reason don’t you think he doesn’t want you to find it?? Like what are you going to get out of it?? Oh yea, we are going to have tourists come and see where evil people were, “vaped,” for their sins. Let’s go to present day… Do you want to go look around in Hiroshima or Nagasaki?? Like come on man! I believe in finding things that are said in the Bible, but this might need to be just not find. My personal opinion! God Bless! Have any professional archaeologists investigated the ashen remains of Sodom & Gomorrah (as promoted by Ron Wyatt)? The writer of this article is trying to prove that it was not God who destroyed Sodom and Gomorrah. AAA……The Bible is more believed than this article. Keep on trying to prove. I agree with Matt and Brian (both 02/21/13) that no one who calls themselves Biblical-anything should put “whether historical or not” in their articles. Rather it should be, “whether one believes they are historical or not”. If you are Biblical, and it is in The Holy Bible, then you should know yourself it is historical. I also agree with Emerson and Randy (both 02/22/13) that as Christians one should never, ever, ever use BCE and CE. We believe in Jesus, and assumedly have put our trust in Him, and try to follow God’s Pure Word. We should not compromise by removing Christ from the calendar: “Before Christ” and “In the Year of Our Lord”. For those who are interested, I have read and written extensively on Tall el-Hammam versus what The Sacred Scriptures detail about Sodom and the other 4 Cities of the Kikkar. Dr. Collins has never given any official answer to the evidences I present, and that can only mean the arguments are air-tight. Therefore people like Krissy and Arlan may want to take a look to see if they can dismantle them, seeing as they don’t believe Genesis really happened. @Krissy – to say that that Greek myth has not been disproven is strange…. it has been proven that Atlas was and is not physically holding the earth in its place and Helios does not transport the sun across the sky by chariot. There are tons of other examples. To say this inability to disprove is like any other “myth” is simply not true. Additionally, the sharing of Sodom and Gomorrah’s fate was not to breed disdain towards the LGBT “community”, it speaks to all sorts of intrinsically planted sin. We’re all a part off each other’s community and until we realize this, separation will remain. Disagreeing is not an “end all”. Is Sodom related to Pompeii (present day- in Italy Rome)? On Youtube there are videos showing towns and structures that had been so heated they turned to ash that cascaded down in the same approx 40degree angle as seen in any industrial dump site. To turn the local stone into this ash does need really hot fire and as the mass of semiburned nodules covering the ara analyses at 98% sulphur and 2% magnesium their origin was not of this world as sulphur deposit around the usual sulphur quarries and volcanoe or hot springs is only about 20-40% purity. Magnesium is the stuff that makes some fireworks burn with intense white light and as it can reach temperature over 5000Fahreheit it has no difficulty melting rock and fusing it into the same glassy material found at atom bomb test sites. What is BAR’s position on the rich deposits of hail-sized sulfur to the west of the Dead Sea? Is that a possible location for the sinful cities of the plains? Why/why not? As a point of logic (or illogic), many atheists confidently assert that certain events in the Bible (such as the destruction of S&G by God) absolutely did not occur. Then, when asked for evidence of their assertion, they will either claim that, a) the burden of proof is not on them, but on those who claim the account is true, and/or, b) “you can’t prove a negative”. Both statements are asinine & not logical. So,since negative assertions CAN be proven, their claimants can therefore be held accountable to prove their assertion or (if they fail to prove it), admit that their assertion is one that they believe by faith. Therefore, the position that “God does not exist” is a position of faith. Most scientists, philosophers and theologians believe that the Universe had a beginning. Since the Universe with all its matter & energy could not have just “popped” into existence without a cause, the cause logically exists OUTSIDE the known Universe, making this “cause” transcendent from the Universe, existing outside time, space, matter and energy. Since the Universe is more powerful than we can imagine and its laws more complex than we can imagine, the “creator” of the Universe logically must also be more intelligent and powerful than we can imagine. The two foremost theories for the genesis of the Universe are “chance” and “God”, and since “chance” does NOT meet these requirements, and “God” does, then obviously God is the best possible explanation for the genesis of all things. This page should not be a medium through which we attack one another but for individual to express his mind. Perspective at which we see things differ. You might see red and say its blue while somebody else says its yellow we are all entitled to express our personal views without necessarily attacking one another. Personally, i believe its not a myth but reality as the holy book (Bible) put it. A myth, according to the dictionary, is a commonly-held but false belief, a common misconception; a fictitious or imaginary person or thing; a popular conception about a real person or event which exaggerates or idealizes reality. Meaning that it is used to explain what is incomprehensible. It is used in Africa by the elderly ones to explain what truly is real but they don’t have its real explanations just to save themselves from “I don’t know” whenever questions about mysterious issues are asked by the younger ones. But in this case, the holy book (Bible) has given us an understanding and an idea about the place called Sodom and Gomorah thousand years before archaeologists now gave us the exact location Thus, the reverse is the case with myth. Mythical approach of explanation in philosophy is called Appeal to Ignorance (Argumentum ad Ignorantum). Biblical explanations of Sodom and Gomorah is a pure reality and true. Studyinh genesis 18 and 19 know and doing reasearch. My thanks to Steve Collins. did not agree with the bible, so they kept looking for other answers. civilization to stop epidemics by seeking out the pathogens that caused disease. extension of Darwin’s theories and propped up beliefs in slavery. And many more. from the dead – as Jesus’s words show in the Gospels. OK, let’s get something straight. From a purely geological perspective, no one can argue that there haven’t been earthquakes in this region. Also, if one looks at the water table history in the Dead Sea area, the lake has been up and down several times over the millennia. Therefore, it is not surprising that many cities could have disappeared under the rising level of water, only to appear again a few centuries later. I have no doubt we’ll find additional cities as the Israelis, Jordanians, Syrians and Palestinians continue to drain the Jordan for all it’s worth. Again, speaking from a purely geological point of view, plate tectonics explains the continental drift between the Asian and African shelves. A fault line runs right through the Dead Sea. Therefore, again, it isn’t surprising to find out that several cities may have fallen to earthquakes. Moreover, it’s not surprising to find out that the earthquakes were severe and that they could have wiped out an entire city the infrastructure of which wasn’t up to modern code. I have no doubt that two cities once existed by the names of Sodom and Gomorrah. I think there is evidence that they may be under a modern-day city now. Surely we’ve heard of tells. They’re all over that regions. The truth, however, is that they may have disappeared much later than our translations suggest. Until very recently, the majority of biblical archeologists were concerned with finding evidence to support the Bible. Now that objective is beginning to shift toward a more thoughtful exploration into what actually happened — whether it backs up a bible story or offers a better insight into the actual history of the region. Here’s what we have to understand about using science to back up the Bible. Science isn’t a tool to prove someone’s point of view. It often proves just the opposite of what we’d like to believe. If we’re going to accept radio-carbon dating for our bible manuscripts, and then turn around and reject it when it proves something wrong about the Bible’s account, we are deluding ourselves. Furthermore, radio-carbon dating isn’t the only method we use to date things back beyond let’s say 50,000 years. If you’re going to use science at all, you might as well confront your old fears of this system of discovery and open your mind to the complete truth — whether that backs up your faith or challenges it to the very foundation. Perhaps you’ll never quite look at things the same way again. I don’t know. Maybe you’ll decide to become an atheist in the end. That’s up to you, but if your faith has any merit at all, it will survive this and many other challenges. The dross will burn away in the refiner’s fire, and what you’ll have left is pure gold.